Applicants must achieve a pass in the Leaving Certificate or equivalent examinations, obtaining a minimum grade O6/H7 in English or Gaeilge, O6/H7 in mathematics or a minimum grade of F2 in foundation level mathematics (in specified courses) and O6/H7 in three other subjects. TL614 Higher Certificate in Science in Computing Systems and Networking (direct entry). TL621 Higher Certificate in Arts in Hospitality Studies. TL780 Bachelor of Arts in Early Childhood Care and Education. (NFQ LEVEL 8) Applicants must achieve a pass in the Leaving Certificate or equivalent examinations obtaining two H5 and four O6/H7 grades. Candidates are required to obtain a minimum of O6/H7 in English or Gaeilge and mathematics. If you have a disability/learning difficulty which you believe should be brought to the attention of the Institute, you should tick this section on page 1 of the CAO application form. We recommend that you attend the Institute's Open Day in November and that you meet the Access Officer or Dyslexia Support Tutor on that day or make contact immediately after, to discuss facilities and services and to receive a copy of the relevant Institute's Support Services Guide. Students with significant medical conditions are advised to contact the IT, Tralee Nurse to discuss health services for students. The Institute provides a number of programmes where students are required to do a placement as a mandatory part of the programme. To ensure the protection of the public and to justify public trust and confidence, the Institute is committed to ensuring that only suitable candidates are allowed to undertake work placements which involve contact with children or vulnerable adults. To ensure that only suitable students are sent on work placement, the Institute requires students registering to complete the Garda Vetting process for programmes listed in the IT, Tralee Garda Vetting Policy. Satisfactory Garda Vetting is a mandatory part of registration for these programmes. Failure to obtain satisfactory Garda Vetting will result in de-registration. Any offence and/or convictions arising after the student has been registered must be disclosed to the Institute immediately. The Institute reserves right to review the registration status of a student in light of additional information received subsequent to registration. The new Common Points Scale that has been developed is Non Linear.Under the old system, the points allocated were in increments of 5 points per band. The new Common Points Scale does not have equal divisions between each value on the scale as can be seen from above. This should kept in mind, if an applicant is working out what the value of their grades may be. The Non Linear scale will also apply to applicants presenting pre-2017 Leaving Certificates. The six highest subject points scores will then be counted to achieve a cumulative points score, as is normal practice. The bonus points will only be relevant in cases where the subject HL mathematics (including bonus points) is scored as one of the candidate’s six best subjects for points purposes. Consequently, if HL mathematics (cumulative points score) is not among these six subjects, the bonus points will not be included in the total points score. Bonus points will be awarded irrespective of the year in which the examinations were taken. Scoring for pre-2017 Leaving Certificate applicants All of the pre-2017 LC grades from D3- A1 can be mapped directly to a grade on the new grading scale. For example, the existing A2 and B1 grade bands are both collapsed into the new grade 2. This means that for students who sat the Leaving Certificate before 2017, the A2 and B1 grade should both be treated the same as a new grade 2. The points to be awarded from 2017 for pre-2017 Leaving Certificate grades are set out in the tables below. In line with the decision to award points to students who achieve a grade of H7 under the new Leaving Certificate grading scheme, students who achieved an E grade at Higher Level under the earlier grading schemes will from 2017 be awarded points. The pre-2017 E grade band covers from 25–39% and does not map directly onto the new H7 grade band, which covers the range 30-39%. Therefore, the points awarded for a pre-2017 higher level E grade will be less than for a H7 and have been calculated mathematically on the non-linear scale at 33 points. The Institute welcomes applications from persons who will be 23 years of age and over on the 1st of January of the proposed year of entry and who wish to be admitted as a mature student. The Institute reserves a minimum of 5% of all places for mature applicants. Mature applicants should apply to the CAO before 1st February. Each mature applicant is considered on an individual basis by the Institute, usually by an aptitude test or written assessment and/or interview. These are normally held in May each year. Mature applicants are not required to have a leaving certificate or the minimum entry points. However, applicants should include documentation in relation to any courses that they have undertaken at second level (Junior and Leaving Certificate) as well as any professional and hobby courses that they may have taken. Applicants are strongly encouraged to include details of all courses that they have completed in the past, as well as providing any information that may reflect their preference choices (i.e. work experience/motivation/goals, etc.). These qualifications will be taken into account, along with their personal statement, as part of the assessment. Note: Mature applicants may be considered on their Leaving Certificate results, if they reach the previous year’s cut-off points and entry criteria for the programme(s) that they have indicated. When completing the CAO application form, those applying as mature students should tick the mature box on the application form and complete the relevant details. Mature applicants from outside the EU are required to submit relevant documentation in relation to their status in Ireland, prior to accepting an invitation to attend aptitude tests or written assessment and/or interview. Late applicants (i.e. by 1st May) to CAO will be considered by the Institute. Late applicants are advised to notify the Admissions Office directly after they have submitted their CAO application. Where required these applicants will be invited to attend the aptitude test or written assessment and/or interview in May. Otherwise these applicants may undertake tests and/or interviews in early September. However, while the college will try to accommodate all applicants, we cannot guarantee that late applicants will be called for assessment. Please note the quota of reserved places on high demand programmes may have been filled in May by the on-time candidates. Late candidates may be put on a waiting list if they are successful. However we cannot guarantee places to these applicants. 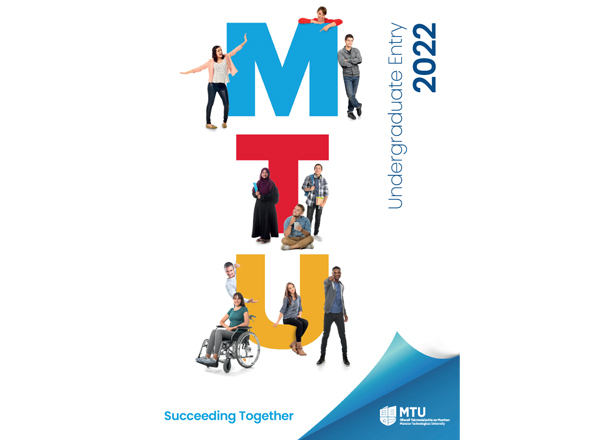 Mature applicants should also contact the Admissions Office at IT Tralee if they avail of the change of mind facility with CAO. From 2017 the points awarded for QQI-FET (formerly FETAC) awards will also be revised. This is required to maintain the existing equivalence with the current points scale, and reflects the overall marginal reductions in student points scores under the new points scale. Until 2017 the maximum possible total score of 360 (120 credits x 3 for a distinction) is multiplied by 10 and divided by 9 to give a maximum overall points score of 400. From 2017, this maximum possible total score of 360 will be multiplied by 13 and divided by 12, to give a revised maximum overall points score of 390 for applicants from further education and training. Candidates will also be required to pass an interview with the Institute. Attend and successfully complete an interview and/or assessment with IT Tralee. Applicants must meet the minimum specific entry requirements for all programmes as specified for Pathfinders. Applicants must meet the minimum specific entry requirements for all programmes as specified for Star Pupils. If you have a disability/learning difference which you believe should be brought to the attention of the Institute, please tick this section on the CAO application form. We recommend that you attend the Institute's Open Day on 11th November, 2016. Students with a physical, sensory, mental health or significant health condition can meet with the Access Officer on that day and the Officer for Students with Learning Difference will be available to meet with students with dyslexia or any other recognised learning difficulty or learning difference. Alternatively you can make direct contact with the relevant support officer or meet at our College Awareness Week Disability Information Seminar to discuss facilities and services and to receive a copy of the Institute's Support Services Guide (see www.collegeaware.ie for more information). Students with significant medical conditions are advised to contact the IT Tralee Nurse on Open Day or at registration to discuss health services for students. EU and non-EU applicants may apply for entry to 1st year courses at IT Tralee through the CAO. Students must hold qualifications equivalent to the Irish Leaving Certificate. Qualifications are evaluated by the CAO. In some cases non-EU students may apply direct to IT Tralee for entry to year 1 of specified programmes. EU students are advised to contact the Institute of Technology, Tralee International Office at +353 (0)66 7191718 to obtain information on the course of study they wish to pursue. Applicants who are now, or who have been in the past, resident outside the EU must contact the Admissions Office of the Institute of Technology Tralee at +353 (0)66 7145638 or email: admissions@ittralee.ie to enquire whether they should apply through the CAO or direct to the Institute. Such enquiries should be made well in advance of the CAO closing date of 1st February and preferably not later than the previous 15th December. Other categories given special consideration include those with craft, introduction to technology programmes, VTOS schemes or other recognised qualifications. Consideration may also be given to applicants who have demonstrated exceptional sporting or community achievement. Suitable applicants in these categories may be interviewed/assessed by the Institute. Applicants who have taken school leaving examinations outside Ireland, who took Irish or UK examinations pre 1985 or who took LCAP, GNVQs, VCEs, or Irish matric examinations should apply to the Central Applications Office. The CAO will evaluate these applications and award points which are equivalent to those awarded to Irish Leaving Certificate applicants. Please refer to www.cao.ie for further information.